Now the first post lists all methods which will help in getting your theme ready for paginated comments and threaded comments. And now you can dump the plugins which you were using earlier to achieve this. Third post mentions how to differentiate between a sticky post and a normal post since WordPress supports this function also inbuilt. You can dump WP-Sticky plugin or any other plugin which you were using for it. NOTE: I want to make clear if your theme is working in 2.5 and 2.6 versions, it will not at all break in 2.7. So if you cannot possibly make the changes, keep using your themes and plugins. They will continue to work. Though I cannot say this for all plugins. The changes suggested above are only if you want to remove using those plugins and use inbuilt features that come with 2.7 version. And since comment system changes radically in WordPress 2.7, majority of plugins which are comment system based may need upgrade. To check if your plugin is compatible with 2.7 or not, check this page. And moreover due to change in commenting system, earlier methods for common comment hacks won’t work. Here is a updated hack on how to separate comments from trackbacks/pingbacks. There is one more guide to do it here. And now after you have checked all plugins and templates make sure you backup your database and files before going in for the update. Better still, install a local copy of WordPress on your PC using Wamp and then check for any problems. If none, upload local copy to Server and get going when WordPress 2.7 releases. Sometimes, I shall move to WP.. I haven´t updated yet, should i do that or can i wait 14 days til my webmaster come back? Just updated and love the new version, so nice…. Updates…you either love them or hate them. The more custom your site is the bigger the issues tend to be. Nice little checklist, personally I’m looking forward to it and dreading it at the same time. Hey friend, Me still using wordpress 2.6.2 I am afraid of upgarding to wordpress 2.7, as once I was upgrading from 2.6.1 to 2.6.2 I messed up my database. I was using Autoupgrade Plugin for this. Is it necessary to upgrade? As I think most of the popular plugins are still under development for 2.7. So far so good for the WP blogs we’ve set up for our clients. 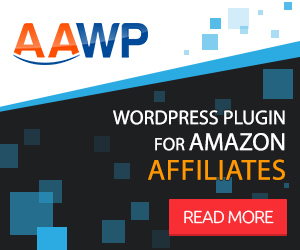 It was a pretty painless update and so far all of the plugins that we use regularly when we set up WP blogs have worked seamlessly. I’m all for frequent updates if they solve real problems…I just get annoyed when developers release updates like once a week or a few times a month with minor changes that would be better served rolling into one bigger update say, once a month. Thanks, i didn’t know that 2.7 is already out there. Wanna try it but i’m not sure that all plugins are 2.7 ready. It’ll take some time for plugin developers, i guess. This might provide a required opportunity for site owners to understand a bit more about their theme code, and that will only end up helping them in the long run. The comment features that are coming in version 2.7 are quite appropriate, as comments will then be more structured, and be able to be responded to in indented sections. Yep, Threaded comment should be default available in WordPress CMS. The new vertical admin menu system bothers me a bit…Hope it’s one of those easy to get use to type of things. If you’re going to upgrade to beta versions of popular website software (like WordPress) you have to make sure you keep up-to-date on security patches. (Or even for non-beta versions) I remember a year or so ago when a bunch of SEO blogs running old WordPress versions got hacked, and it was only a day or two after the release of the fixed version, too. I’m getting pretty fed up with all these WP updates, they should do one once a year or something. Didn’t know beta’s already out… And by the way, I love your blog’s design! I appreciate the mention of my guide. Thanks for the link.